Choose the course you would like to take, and fill out the application form very carefully. It is important for your contact information to be correct so that we can notify you if you are selected for the next phase. If you are chosen for the selection process, we will contact you via email. Always check your inbox and, in some cases, your SPAM box. If you meet the prerequisites and are selected, we will call you in for our group dynamic. If you pass this step, we will call you in for an individual interview. The last step will be registration. Important: Registration for Gastromotiva courses is open year-round, but the formation of new class groups varies according to the specific calendar of each city where we work, which are currently as follows. In Brazil: Rio de Janeiro, São Paulo, and Curitiba; Mexico: Mexico City; El Salvador: San Salvador; South Africa: Cape Town. If you have already registered, keep calm! We’ll get in touch with you when a new class group forms. If you have not yet registered, or if you would like to know about the opening of new class groups, please visit our calendar and stay tuned to social media! 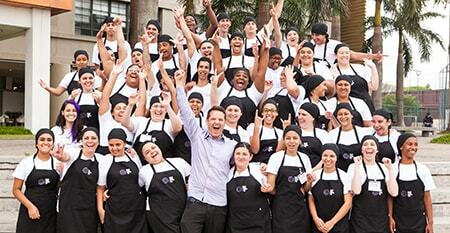 Training geared toward those who already have, or intend to have, their own business in the field of gastronomy. The lessons range from confectionery and baking, to entrepreneurship, marketing, financial education and citizenship. To apply, the student cannot have attended Culinary College and, if he or she already has a business, the monthly business revenue may not exceed R$ 2,500.00. 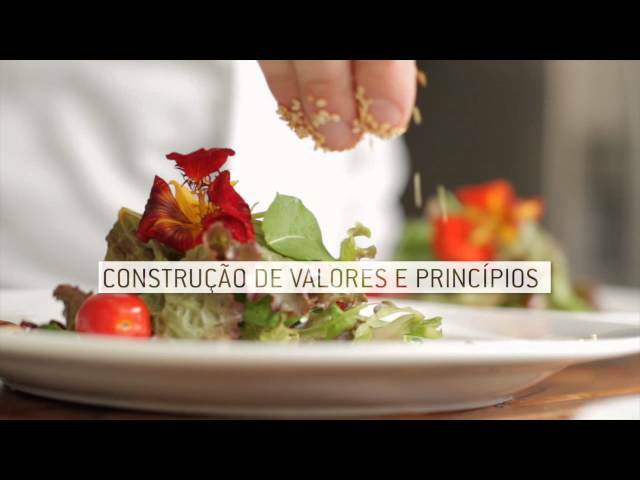 This training takes place exclusively at Refettorio Gastromotiva in Rio de Janeiro. During the lessons, students receive specific training with the goal of developing a more holistic view of cooking by taking full advantage of food products to reduce the quantities thrown away. Using products that would otherwise be wasted, although entirely fit for consumption, the students cook for 90 homeless people on a daily basis. The Professional Cook Course is aimed at the training of kitchen assistants for those 18 to 35 years of age with a qualifying household income. For the final project of the three-month course, students will take part in a Community Action Project (CAP), generating impact on their realities based on what they have learned.